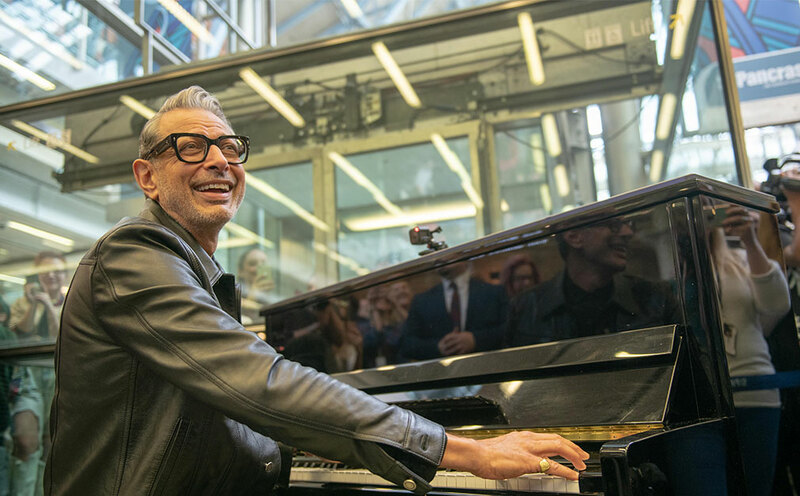 The Clarion HS1 team were busy hosting media and Hollywood star, Jeff Goldblum recently for a surprise piano performance for passers-by at St Pancras International. Promoting his new jazz piano album (who knew?! ), the mini gig forms part of a calendar of art and cultural events at the iconic venue, in a bid to showcase St Pancras as a destination in its own right, as well as a world class station. The activity resulted in blanket national and international media coverage – Choo choo!